There are many types of staircases to choose from when you are customizing your own staircase design. A center-beam staircase may be the perfect fit for your space! Whether it is for a residential home or a commercial space, center-beam staircases can be custom designed to fit any space. When designing a staircase for commercial spaces, there are specific building codes that must be followed. Our custom staircase designs follow strict protocols of the Florida Building Code without compromising the overall aesthetics. 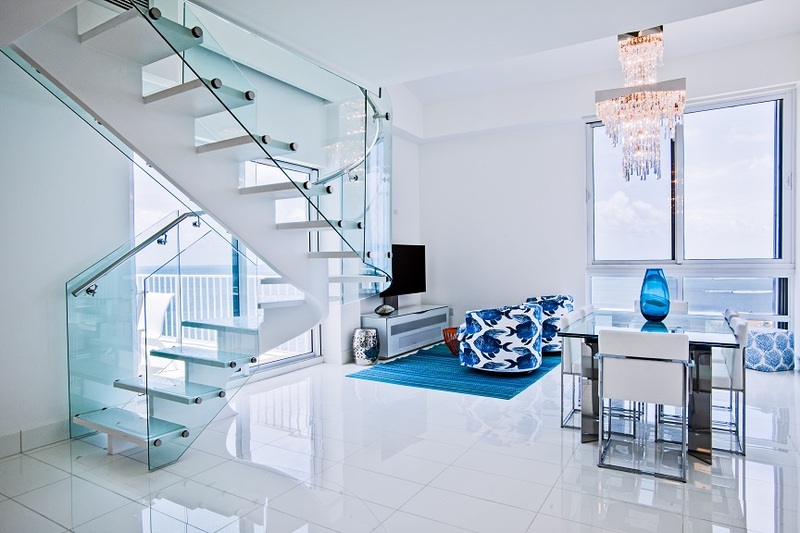 As per Florida Building Code, handrails must be installed on both sides of the staircase to manage dual traffic flowing up and down the staircase. It is definitely possible to comply with these building codes without compromising the overall aesthetic of the design. 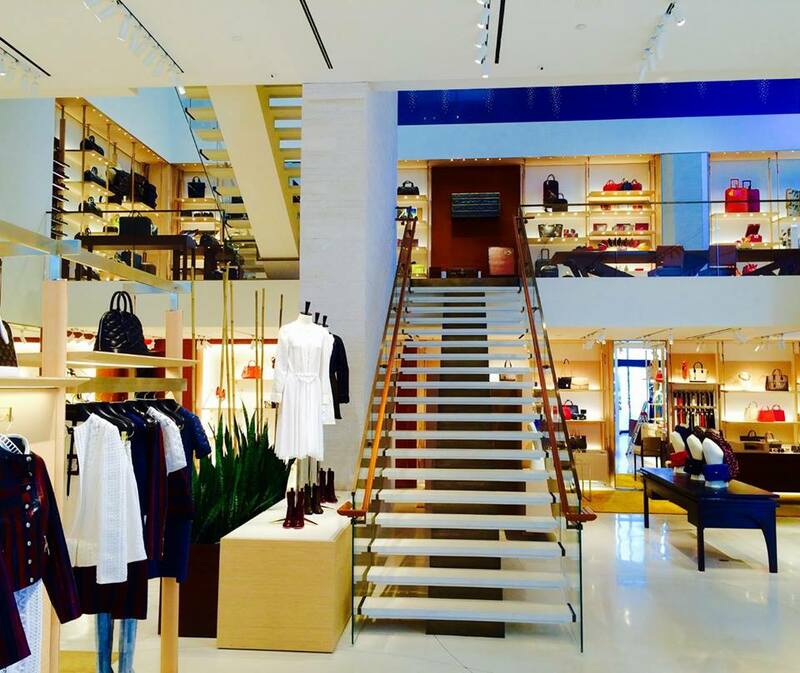 Commercial Space: High-end center-beam staircase design features leather wrapped handrails and laminated glass railings. There are many different factors to consider when designing a custom center beam staircase. When designing a center-beam staircase for a residential home, combining different elements such as wood and stainless steel can change the overall aesthetic of your design. Choosing custom wood stains can drastically change your staircase design. Selecting a dark stain against light walls and flooring can create a nice contrasting element to your overall design. If your space is too small for a straight run staircase, consider creating a circular center-beam design! The existing steel center-beam structure was painted white; blending in perfectly with the white flooring. Curved glass railings were installed along the staircase, bringing in more natural sunlight. By implementing this design with light and airy qualities, we kept this space open to the beautiful ocean views. 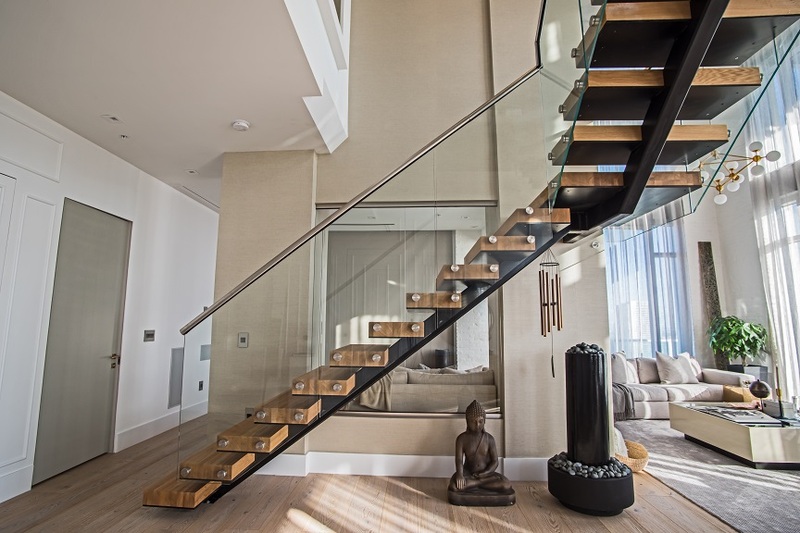 Never be afraid to think outside of the box when designing your custom staircase. Curved center-beam staircase features glass railings and chrome stainless steel elements.